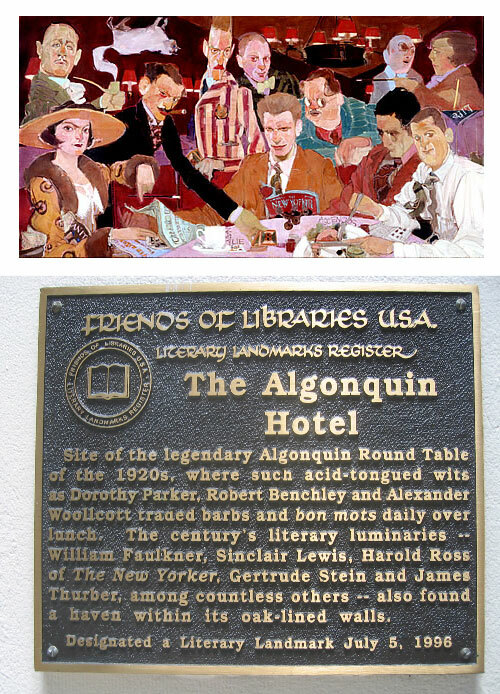 "The Vicious Circle" members as they called themselves, met for lunch each day at the Algonquin Hotel in the Rose Room at, you guessed it, a round table. The year was 1919. The collaboration lasted almost ten years. They engaged in clever wordplay and wisecracking witticisms. Through the newspaper columns of Round Table members, their lunch discussions were reported across the country in a time when the latest celebrity gossip was not available on the Google homepage but was found in newspapers. Membership was not official or fixed, many moved in and out of the Circle. 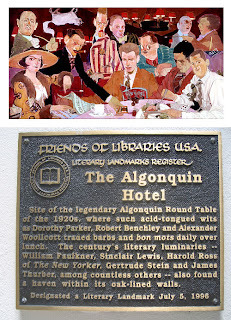 The Algonquin Round Table included the following members: Franklin Pierce Adams, columnist; Robert Benchley, humorist and actor; Heywood Broun, columnist and sportswriter; Marc Connelly, playwright; Ruth Hale, freelance writer who worked for women's rights (married to Heywood Broun); George S. Kaufman, playwright and director; Beatrice Kaufman, editor and playwright (married to George S. Kaufman); Dorothy Parker, critic, poet, short-story writer, and screenwriter; Harold Ross, "The New Yorker" editor; Jane Grant, journalist and feminist (married to Ross); Robert E. Sherwood, author and playwright; John Peter Toohey, publicist; Alexander Woollcott, critic and journalist; Tallulah Bankhead, actress; Joseph Cookman, journalist and drama critic (married to Mary Bass); Edna Ferber, author and playwright; Margalo Gillmore, actress; Margaret Leech, writer and historian; Neysa McMein, magazine illustrator; Harpo Marx, comedian and film star; Alice Duer Miller, writer; Donald Ogden Stewart, playwright and screenwriter; Frank Sullivan, journalist and humorist; Deems Taylor, composer; Estelle Winwood, actress; Peggy Wood, actress and there may have been more. Wow, what an impressive group of creative thinkers and artists made up this group. The members had much success, but it was for this specific time and place. Talk about the value networking. It was a golden time for these writers. They produced some of their best work during these years. Wouldn't you have liked to have been an attendee to one of their luncheons? 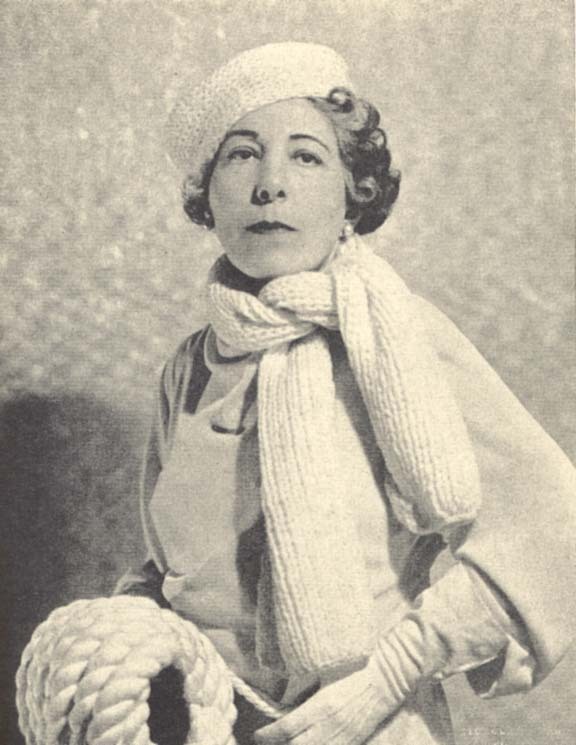 Edna Ferber, the author of Show Boat and Giant said she realized "The Algonquin Round Table Circle" was gone when she arrived for lunch one day in 1932, and found their famous round table occupied by tourists, a family from Kansas. Ms. Ferber wrote her Pulitzer Prize winning book, So Big and many other books and stories during the height of the group’s daily meetings. It makes me wonder how many ideas bantered around the Rose Room found their way onto the pages of her novels and all the other writer members. Often writers' groups wane as members move toward other venues and that was the case with "The Vicious Circle." Its time had come and gone but the repartee among them forever influenced their future work. Writers' groups can be a wonderfully supportive and an expanding experience for any writer at any stage in his/her career. However, if you have a bad experience with a writers' group, you may need to keep searching for a more inclusive group. Look for a group that offers consistent instruction on the craft of writing, the business of writing, paired with opportunities to expand and showcase the members' individual talents.